Leave the endless lawn maintenance in the past with Riviera Light! No need to spend absurd amounts of money on lawn mowers, fertilizer and water bills. Make the switch to a Riviera Light lawn today! Everlast Riviera Light features vibrant lime and field green color tones that will stand out in any residence, commercial property or school. An approximate 50 ounce face weight allows for light to moderate traffic levels, paired with an “M” shaped blade and 1.625 inch pile height, creates a full and lush landscape that will provide an evergreen lawn all year long! Each synthetic grass blade has built in U.V. inhibitors that are triple reinforced into the backing through tuft bind technology. 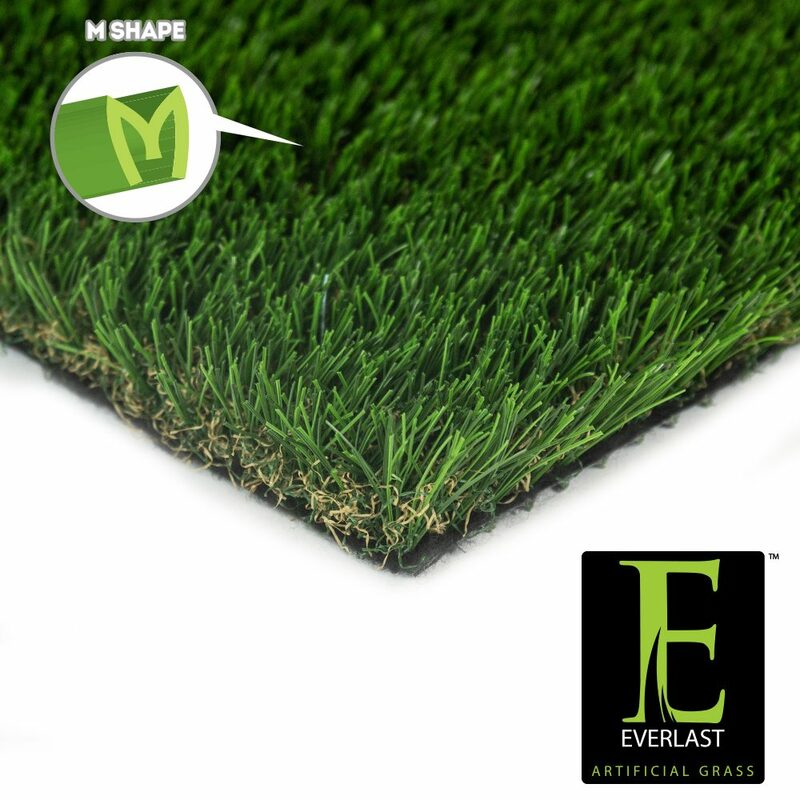 Everlast Riviera Light is backed by our 15 year warranty, guaranteeing that your lawn is safe, durable and will last you for years to come. Riviera Light is non-toxic and lead free, creating a landscape alternative that is a perfect fit for any home, business or school.